Your power bills are on the rise. The news about climate change is beginning to get stressful. 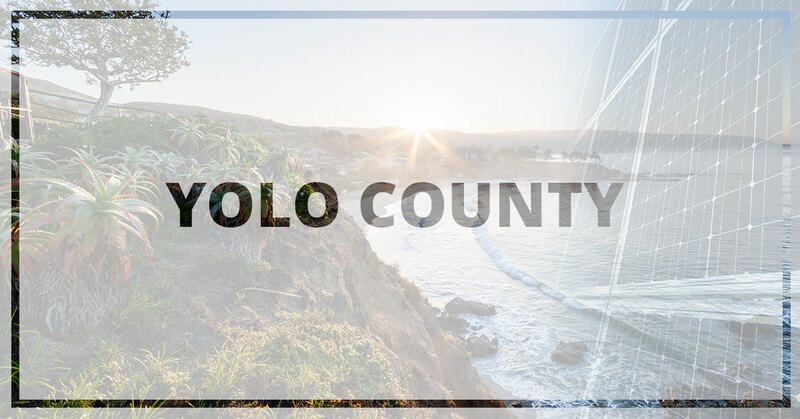 It’s time to ease your burdens for your Yolo County home or business! You’ve probably found some good ways to save, but nothing can compare to the incredible energy and money savings from solar power. Bills are frustrating, especially when the amount owed seems to increase for no reason. Never see a raised power bill ever again when you have a solar power system installed for your home or business! That’s right—solar power is about claiming your energy independence from the power companies and relying on your own solar energy system to give you the electricity you need for your home or business. You can save money on your bills, but that’s not the only way to save. Currently, there is a tax credit available to both business owners and homeowners alike. You can actually receive up to 30 percent of the qualified solar energy expenses back on your federal taxes. However, this only lasts until 2021, so now is the time to give West Coast Solar a call. Your confidence and peace of mind are of the utmost importance to us. That is why we offer personalized services and solar products to optimize your property’s solar power potential. When you go green, you want to maximize cost-efficiency and reduce your carbon footprint while enjoying decades of low energy bills from clean, renewable energy. The best way to ensure your property reaches its full green potential is by customizing the design and installation to your unique needs and the specifics of your property. Our skilled technicians will work closely with you to ensure you are completely satisfied and confident in your solar system. From system design to installation, financing to the warranties, we handle it all. That’s why we urge you to call the professionals at West Coast Solar! We look forward to working with you to create a custom solar array to fit your home. Reach out to us today to get started.